“Stress” has been dubbed the “Health Epidemic of the 21st Century” by the World Health Organisation. The effect of stress on our emotional and physical health can be devastating. In a recent study, over 50% of individuals felt that stress negatively impacted work productivity. Numerous studies show that job stress is by far the major source of stress for adults and that it has escalated progressively over the past few decades. 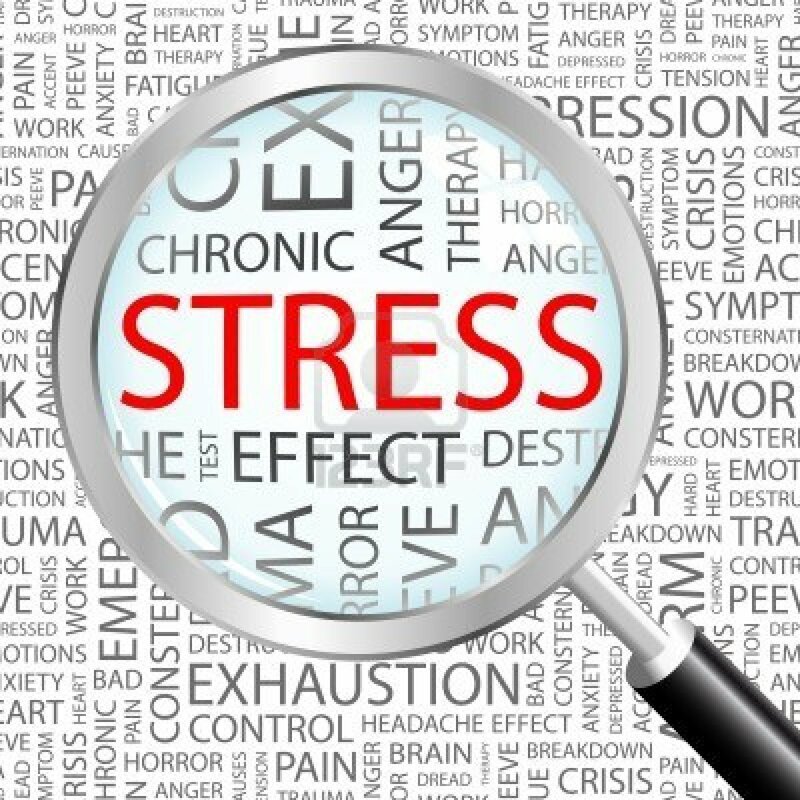 Increased levels of job stress, as assessed by the perception of having little control but many demands, have been demonstrated to be associated with increased rates of heart attack, hypertension, obesity, addiction, anxiety, depression and other disorders. Stress is a highly personalised phenomenon that varies between people depending on individual vulnerability and resilience and between different types of tasks. The severity of job stress depends on the magnitude of the demands that are being made and the individual’s sense of control or decision-making latitude for dealing with the stress. In studying the brains of anxious subjects, researchers discovered that certain areas of the brain are overactive compared to the brains of those without anxiety. One such area is called the basal ganglia, a set of large structures near the centre of the brain that are involved with the integration of thought, feeling, and movement as well as motivation and pleasure. It has been observed that when the basal ganglia are overactive, a person is more likely to suffer from the symptoms of anxiety. The good news is that you can get control of your anxiety symptoms with a simple four-step panic plan. Step 1: Slow down your breathing. Many people don’t pay attention to their breathing during an anxiety attack when in fact their breathing usually becomes shallow, rapid, and erratic. This decreases the oxygen in the brain, which will trigger fear and panic (again, part of our biological wiring). When you take slow deep breaths, you increase the blood flow to your brain, which will put you back in control. One way to practice deep breathing is by learning how to breathe from your diaphragm – the area of the body that tends to get “clenched” when we’re anxious. So, for step 1, breathe slowly and deeply with your belly: take five seconds to inhale; hold it for two seconds; take five seconds to exhale; hold it for two seconds; and repeat. Do this 10 times. This technique is referred to as the 5 x 2=10. You may need to talk to a trained DTR counsellor/psychotherapist about your anxiety and fears, especially if you’ve been exposed to trauma of any kind. There are some very good therapeutic methods for helping people overcome the symptoms brought on by traumatic or life-threatening experiences, and those that cause post-traumatic stress disorder (PTSD). Step 3: Pay attention to the thoughts in your mind and write them down to see if they make sense. Often in panic situations, our thoughts are distorted and need to be challenged. So, it may be a good idea to kill the negative automatic thoughts (NAT’s), that make us feel miserable. Step 4: If you’ve practiced steps 1-3, but are still suffering from too much anxiety, you may need supplements or medication to help you feel calmer. While people with severe anxiety often require medication, others may do well with supplements such as ones that contain magnesium. Of course, you’ll want to discuss medication or the adding of supplements with your doctor before taking them. By following this 4 step Panic Plan, it is possible for you to finally get control of your anxiety attacks. There is a vast literature on the possible role of stress in the causation and/or exacerbation of disease in most organ systems of the body. Inextricably linked to anxiety, stress plays a pivotal role in mental disorders including phobias, Major Depression, Bipolar Disorder and Schizophrenia.